This Tweet was removed by GOLFPASS. It’s an example of the gluttonous posture towards golf courses. 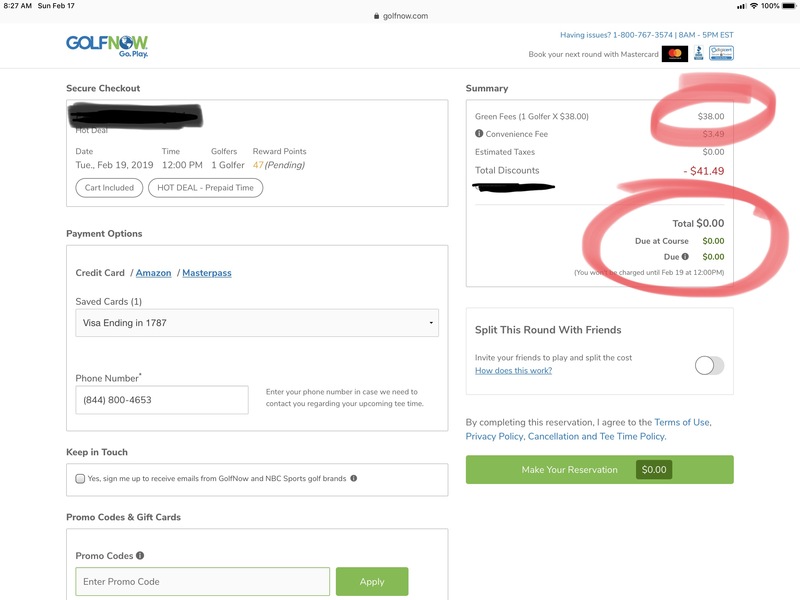 See how the monthly promo code reduced the price from $38 to $0. Price integrity be damned! 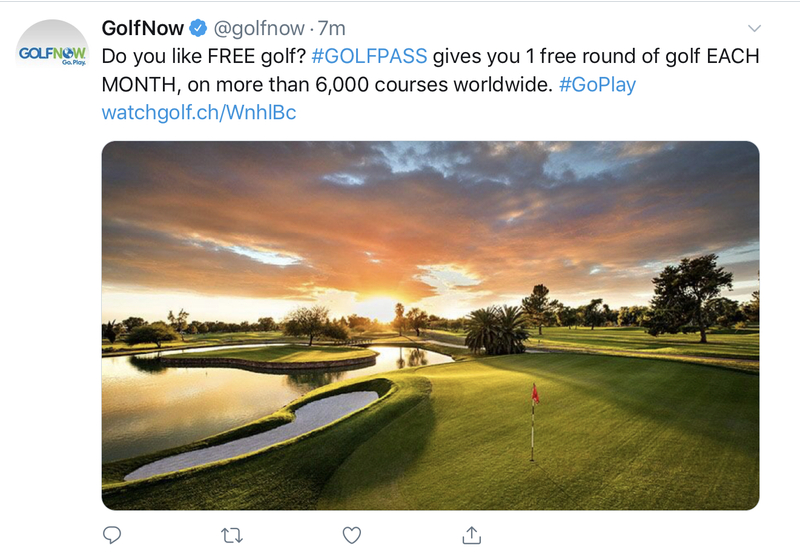 GolfNow’s first Tweet after the media launch of GOLFPASS. Notice the emphasis on FREE golf. One real course example of Barter Opportunity Cost in 2018 – nearly $90K. Each bartered round sold that strengthens the OTTA simultaneously weakens the golf course. The parasite-host relationship is not symbiotic. The 2018 Golf Business TechCon recently wrapped up, and naturally my mind is on the future of the industry. 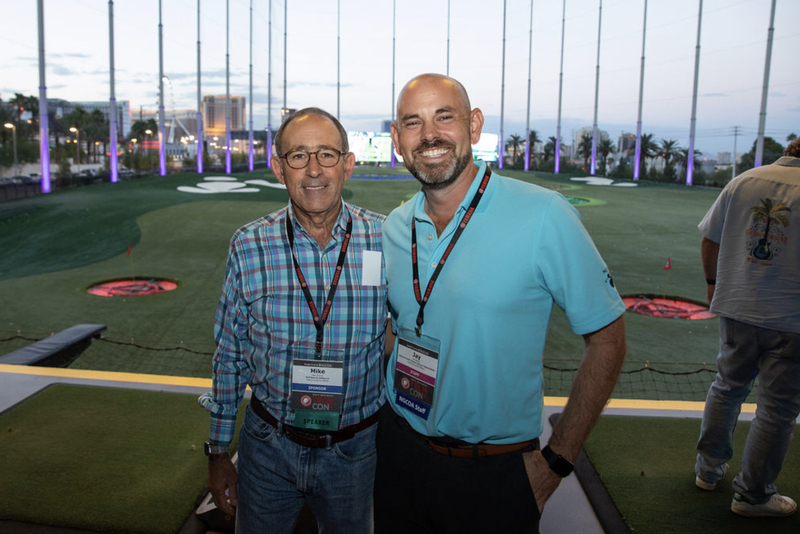 At the event, we had an evening of fun at Las Vegas Topgolf. It was a typical Thursday night, and the place was jam-packed. NGCOA member Debbie Jeffries, owner of RiverRidge Golf Complex in Eugene, Oregon, shared an interesting observation with me about the patrons at Topgolf. She noticed all the “golfers” playing in the bays were deeply engaged in the metrics and data being captured, such as swing speed, ball flight, distance to the targets, etc. ; while the “non-golfers” couldn’t care less about that info, and were just having fun swinging hard at an inanimate object. But, both crowds were imbibing, eating and spending money just the same. At the Las Vegas Topgolf with Mike Zisman, CEO of Golf Genius Software. Pivoting back to our conference, we had many technology companies in attendance, offering their expertise and services with the aim of helping course owners solve problems and unlock opportunities. In most cases, their solutions promise to improve operations in many ways, small and large. But “large” is a relative concept when thinking about change and improvement. To one operator, a large improvement could simply be having easier software to work with. To another, large could mean unlocking $80,000 in net income through dynamic pricing technology. But, when I think “large,” I’m thinking transformative. I think most small businesses would appreciate finding new net income in the margins and tweaking of operations and strategy — $10K here or $5K there. But what would it take for the $1.2M revenue facility to realize $1.8M? Or the $2.5M facility to realize $3.4M? We are an industry that’s just hanging on to 23M customers and one that is continually beat up by weather, all the while Topgolf reigns as the darling of the golf industry. Let’s connect the dots, folks! Some may call me obsessed with the concept, but I believe the key to transformation will be to create the golf course that is open for business under the sun or the moon, and when the weather is fantastic or terrible. I believe the golf course of the future will be indoor and outdoor, if only we can find ways to embrace virtual reality and gamification of golf, which includes simulators (like GOLFZON) and other high-tech concepts (like NextLinks and Toptracer Range). A business case has to be made more clearly for the value of installing multiple simulators at a typical golf course and the ongoing costs must be presented in a way to lower the risks borne by a typical course. The business plan for revenue must be simple to apply. We must find a way to make this ubiquitous among the existing 14,000+ golf facilities around the United States. If we don’t, mark my words, we will see it pop up in retail and other non-golf locations all across the nation. If that happens, we will have lost the opportunity to be the center of gravity for this transformation. And no, we shouldn’t wait around to see how many “Topgolfers” will migrate to the green grass. In 2001, with the introduction of the iPod and iTunes, I’m sure many people looked at Steve Jobs and thought, “What the hell are you doing getting into the music business?” But had Apple not sought transformation, they might have disappeared into oblivion long ago. I like the looks of the golf course of the future. For the second year in a row, I survived the “buddies golf trip” to the Pinehurst area of North Carolina with 11 other guys looking to have fun and spend money. What could go wrong? I’m happy to report that nothing did. We had a wonderful time, and I am compelled to share two things from my experience. The 12 of us played three traditional rounds of golf at some of the wonderful public courses in the area. Then we squeezed in some late afternoon play at the new short course at Pinehurst Resort called “The Cradle.” Hopefully you’ve read about this new project at Pinehurst. (golfbusiness.com, April 2018) The day we played, the Wall Street Journal had an extensive piece on how the short-course experience may be a key to the golf trip of the future. Yours truly, third from the left, with a bunch of good guys (with interesting fashion choices) at The Cradle at Pinehurst Resort. The two takeaways both have to do with The Cradle, and both were validation of matters we’ve been talking about in golf for a long time now. One has to do with hospitality, and the other with the relaxation of the golfer experience. When I look back on the four distinct golfing experiences we had, only one staff person created a memorable one. It was Ed, the starter at The Cradle. He was jovial, humorous and accommodating. The perfect blend of hospitality. Ed was the only one in three solid days who seemed to understand it was his job to facilitate good cheer – and he delivered. His masterful engagement of our group set the tone for the next couple of hours. It’s a lesson that good hospitality trumps just about any other element of the customer experience in golf – or anywhere else, for that matter. I encourage course operators to find the most laid back, jovial, fun-loving people you can, and put them on the front line of your operation. The other takeaway was simply experiencing a fun, relaxed format of golf, provided by one of the most traditional golf destinations in the world. One could stand at the Pinehurst clubhouse, look in one direction to see lawn tennis being played, croquet in another direction and the short course in another. But at The Cradle, where the holes range from around 50 to 125 yards, you could also see a mobile bar set up by the third tee, and you could hear classic rock music amplified from the trees. Go put on your whites to play croquet, but come over here to let your hair down. We had so much fun in the two loops we made around The Cradle, I don’t have enough column inches here to go into great detail. Why is takeaway number two so important? My hope is that the doubling-down on fun happening at Pinehurst gives permission (so to speak) to the rest of the golf industry to let your hair down, take risks and invest in the fun side of our game. Turn your driving range into an entertainment venue with some of the new technology available. Bring those simulators inside and get people swinging, eating, drinking and playing games. Offer more fun formats for your golf events. I’ve long said that I never tell a business owner what they must do. Those who prefer to deliver the formal experience can find success in that. But my hope is we will see a serious movement towards the loosening up and diversification of what it means to go out and play golf. Traditional golf and new formats are not mutually exclusive. We can have both, as evidenced by Pinehurst. Kudos to the Dedman family and to general manager, Tom Pashley.